Ideal for large families, the villa sits on close to a ¼ acre of land in one of the prime areas near Serena beach. 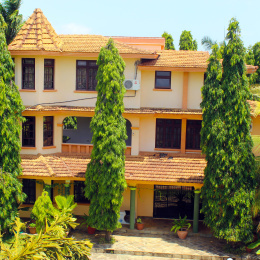 The location is undoubtedly convenient with close proximity to Nyali, Bamburi and Mtwapa areas. Guests will have access to the entire house including a private swimming pool and an outside bar area. The villa has no shared walls, giving you the privacy you need. This villa promises you one thing; you will never have to compromise on space. All the rooms are huge, well lit and air conditioned. What’s even more fascinating is the fact that every room has its own private balcony. The ground floor contains a large and well-lit kitchen, a living room area, dining room and a guest bedroom. The first floor consists of a TV area and 2 bedrooms. One of the bedrooms is configured with 2 beds. The master bedroom sits on the 2nd floor. You will love the majestic feel of this particular room which is fully equipped with a huge bath tub, a glass shower cubicle and a walk in closet. Outside Barbecue Area with Bar, enjoy Poolside parties. You will have 3 staff members at your service; a guard, housekeeper and caretaker. You can have a special arrangement with the housekeeper if you need to have her cook your meals. All electronic appliances such as electric stove, microwave, washing machine and fridge are available for use. Why go through the hassle of staying in a hotel when you can have this magnificent villa at an affordable cost? Contact us today for bookings. Guests have access to entire house including the outside pool and Barbecue Areas Interaction with Guests You will have 3 staff members at your service; a guard, housekeeper and Butler. You can have a special arrangement with the housekeeper if you need to have her cook your meals. 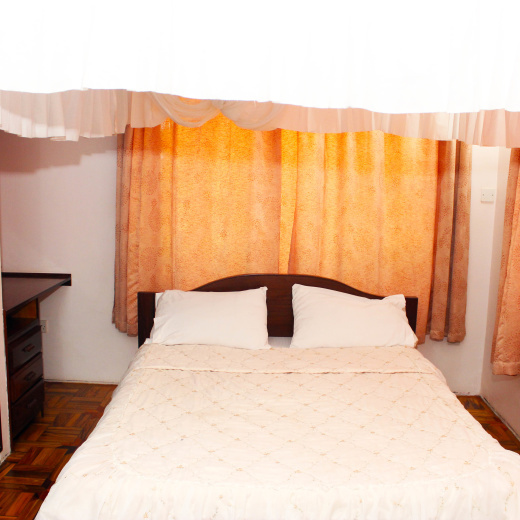 All electronic appliances such as electric stove, microwave, washing machine and fridge are available for use.